Ryder, J.m. and Nathan Baker. "Cordillera". The Canadian Encyclopedia, 08 April 2019, Historica Canada. https://www.thecanadianencyclopedia.ca/en/article/cordillera. Accessed 18 April 2019. A cordillera is a major system of often parallel mountain ranges that includes the intervening plateaus, valleys and plains. The term is Spanish and dates from the early 18th century. It derives from the Old Spanish word cordilla, which was the diminutive form of cuerda (meaning “cord,” “string” or “rope”), from the Latin chorda. 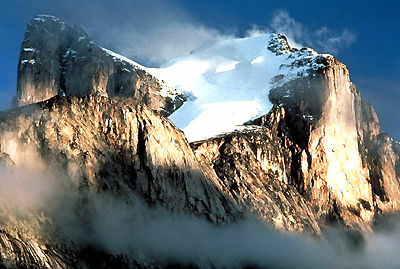 The Spanish used the plural term cordilleras to refer to the parallel Andean mountain ranges of South America. While cordilleras of this definition are found around the world, outside of North and South America, the singular term typically refers to individual mountain ranges. On the North American continent, the westernmost physiographic region that extends from Mexico to Alaska is commonly called the Western Cordillera, Cordilleran region, or simply Cordillera. The Canadian portion of this system includes the Rocky Mountains and the Coast Mountains. 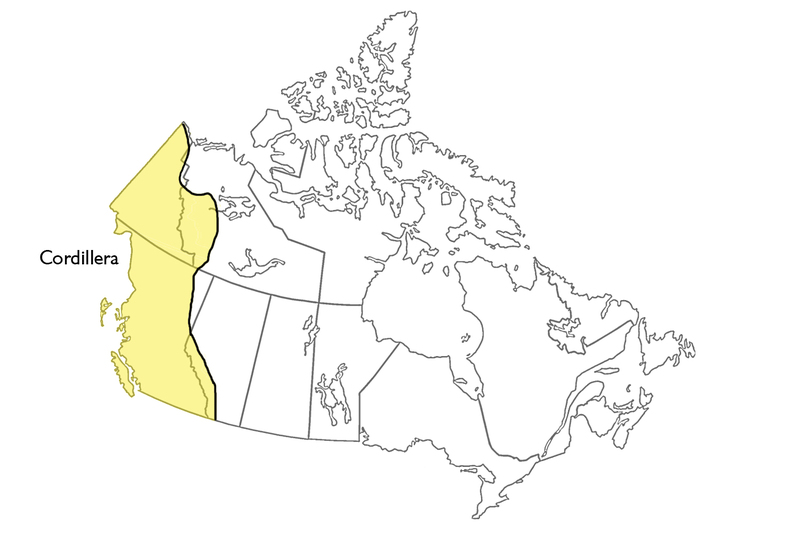 While the Canadian Cordillera covers most of British Columbia and Yukon, it also extends into parts of Alberta and the Northwest Territories. 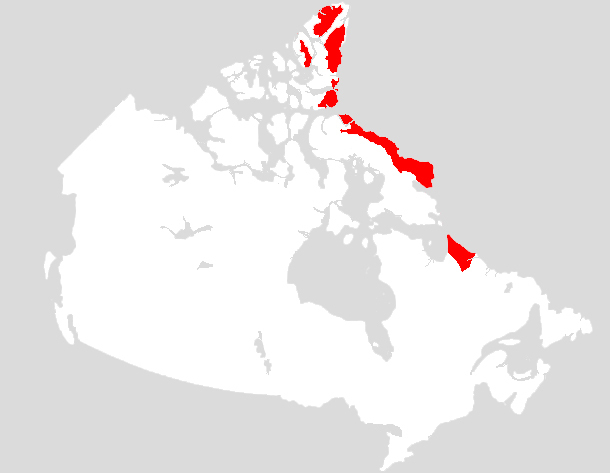 The Arctic Cordillera is a series of mountain ranges in northeastern Nunavut and northern Labrador. This is also the name of the region’s ecozone (see Natural Regions).